Sherlock is a British television crime drama that presents a contemporary update of Sir Arthur Conan Doyle's Sherlock Holmes detective stories. 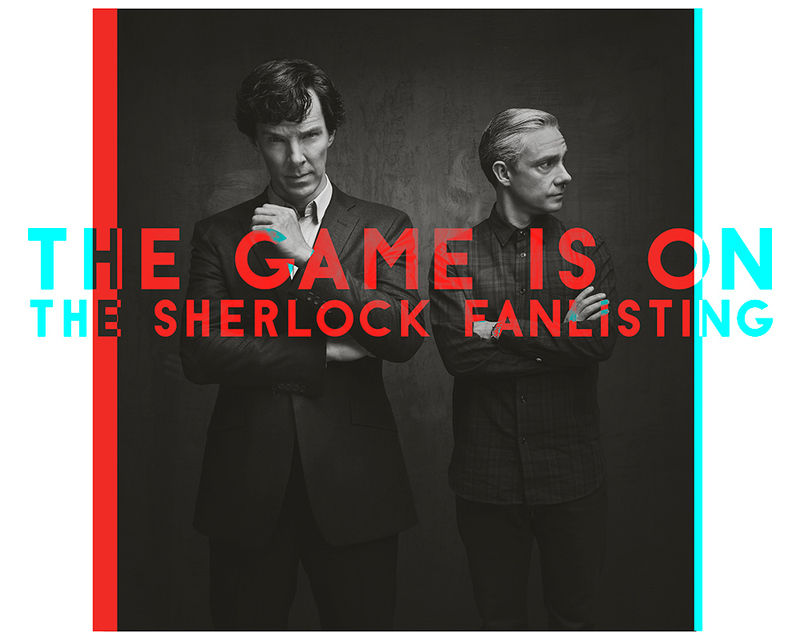 It stars Benedict Cumberbatch as Holmes and Martin Freeman as Doctor John Watson. Six episodes, broadcast since 2010, have been produced, with three more episodes scheduled to begin production in early 2013. The series has been sold to over 180 territories. The show was conceived by Steven Moffat and Mark Gatiss during train journeys to and from the Doctor Who production base in Cardiff, where they were both writers. They aspired to produce a modern-day version of Conan Doyle's stories in which Sherlock uses the technologies that are available to him today in order to find things out and solve crime. Credited as co-creators, Moffat and Gatiss each write one episode per series, with the other written by Steve Thompson. Hartswood Films produced the series for the BBC and co-produced it with WGBH Boston for its Masterpiece anthology series. The series is primarily filmed in Cardiff, although the production also uses a variety of other locations. North Gower Street in London was used for exterior shots of Holmes and Watson's 221B Baker Street residence. Sherlock depicts "consulting detective" Holmes assisting the Metropolitan Police Service, primarily DI Greg Lestrade (Rupert Graves), in solving various crimes. Holmes is assisted by his flatmate, Dr John Watson, who has returned from military service in Afghanistan. Although the series depicts a variety of crimes and perpetrators, Holmes' conflict with his nemesis Jim Moriarty (Andrew Scott) is a recurring feature. Pathologist Molly Hooper (Louise Brealey) assists Holmes in her laboratory. Other recurring roles include Una Stubbs as Mrs. Hudson, Holmes and Watson's landlady, Vinette Robinson as Sgt. Sally Donovan, and Mark Gatiss as Sherlock's brother, Mycroft Holmes. Hosted by Dreamhost (?). Hand coded by Emma-Jane, do not copy!